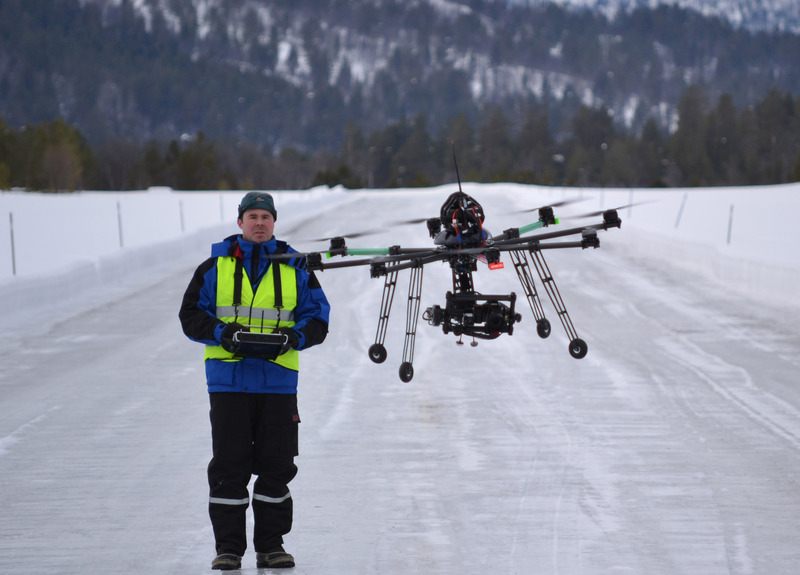 The Norwegian Public Roads Administration (NPRA) recognizes that unmanned aircraft systems (UAS) are increasingly capable and potentially can replace the use of helicopters for avalanche monitoring, but there are challenges for the use of these. The NPRA has an active maintenance program which includes monitoring snow avalanches above their roads. After a road is closed due to an avalanche, maintenance staff are required to determine when it is safe to reopen. They evaluate the hazard using roadside observations or travel by foot, ski, snowmobiles, or manned helicopters. Given the urgency to re-open roads, manned helicopters, while expensive, are often hired because they can be quickly be mobilized. The NPRA recognizes that unmanned aircraft systems (UAS) are increasingly capable and potentially can replace the use of helicopters as well as supporting avalanche monitoring but there are challenges for the use of UAS. Avalanches occur in the mountains where steep terrain and winds present obstacles for safe flights. Many UAS operate use batteries which degrade in cold temperatures reducing flight duration. 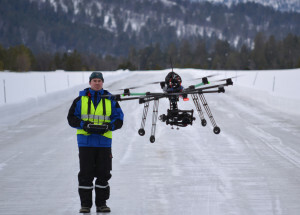 The NPRA, working in collaboration with the Norwegian University of Science and Technology, circulated a tender inviting vendors to apply to demonstrate their UAS could support NPRA’s interest in roadside avalanche monitoring in mountainous terrain in winter weather. One primary motivation was to evaluate if UAS could make monitoring safer by permitting staff to view avalanches without traveling to dangerous release sites or without having to fly in helicopters in rugged terrain. The demonstration’s six member evaluation team, with expertise in avalanche monitoring, UAS operations, and winter maintenance, selected six vendors who operated nine fixed wing, helicopter, and multi-rotor UAS. 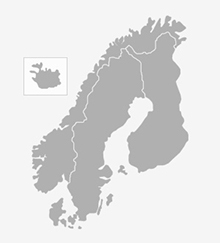 The 3 day demonstration was conducted in March 2106 at Bjorli airfield in central Norway. Set in a valley with steep mountains, there was cold, windy weather which was idea for the demonstration. Four missions were designed to test the aircraft as they might be used by the NPRA. The first two required the UASs fly to and view a nearby roadway and a bridge. These flights highlighted a UAS’s ability to survey transportation facilities that are difficult to access and the UAS captured many detailed images. The third mission involved locating a simulated avalanche dug into a nearby mountain. This required a 2 kilometer flight from the road. A fixed wing and a quad-rotor aircraft completed this mission resulting in high quality images of the avalanche. The final, and most challenging, mission which was designed to replicate a situation where the NPRA might use a manned helicopter, involved a 2.3 kilometer flight to a steep mountain to examine avalanche features. Two vendors flew this mission. One, using a fixed wing UAS, crashed their aircraft and had to recover it on foot. The other used a snowmobile to travel closer to the mountain before launching their small multi-rotor aircraft. This was the most portable system used in the demonstration and could fit in a backpack. Both systems resulted in usable views of snow features. The evaluation team concluded that UASs demonstrated enormous potential. Their ability to capture useful images was quite good and they could replace the need for observers to travel to avalanche areas but there was no single system that meets all of NPRA’s needs. The fixed wing aircraft were more capable of flying in bad weather and the greater distances required to see some avalanche features but required more skill to operate. Multi-rotor aircraft were easier to operate but are they are less capable in winds and do not have the range to fly to distance features. This suggests the NPRA needs to have a multi-level approach. Small multi-rotor UAS owned and operated by NPRA could conveniently evaluate many snow features above roads. For longer flights or in bad weather, a larger fixed wing UAS, may be the best. Because these aircraft are more complex to operate, the NPRA should consider contracting with vendors. This entry was posted in Infrastructure, Maintenance, Safety, Uncategorized and tagged maintenance, monitoring, snow avalanches, unmanned airdraft systems. Bookmark the permalink.